My August Weight-Loss Progress Pic! 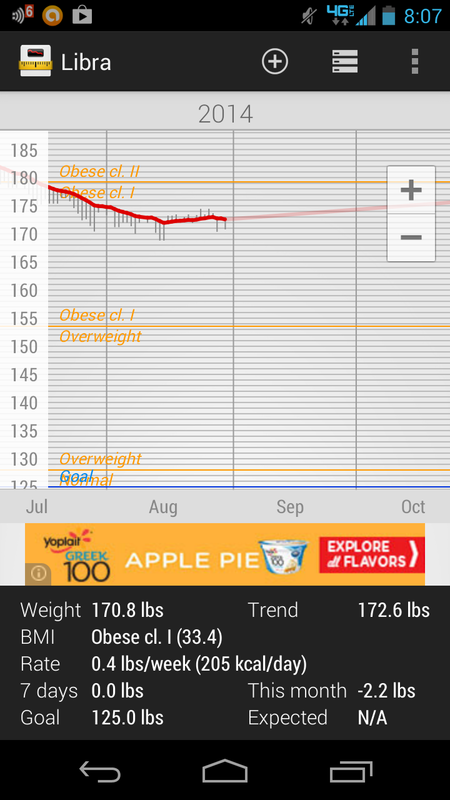 Hitting a weight loss plateau. Solution? Eat more fat! Plateaus during weight loss are part of the process. I know this. I should have expected this. I have had short plateaus over the last sixteen months but never one that lasted almost two weeks. I have been more curious than disappointed although I did say “What? !” a few times when I would get on the scale and discover that my weight was above the trend line yet again! Lol!